27th Taiwan Excellence Gold Awards Announced! November 09, 2018, Taipei, Taiwan – The Taiwan External Trade Development Council (TAITRA) announced the winners of the 27th Taiwan Excellence Gold Awards today. Inviting a selection committee across the globe of the highest specifications, such as Mr. Jonathan H Deacon, Vice Chairman of European Marketing Confederation (EMC), 2018’s Taiwan Excellence Gold Awards candidates faced strict evaluations. 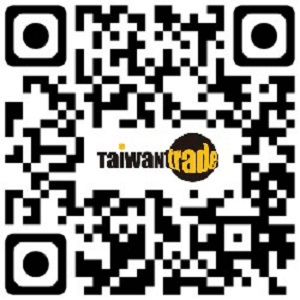 Prevailing products represent the most revolutionary, highest quality and highest value-added products made by Taiwan. Candidates and winning products of the 27th Taiwan Excellence Gold Awards continue to transcend beyond information and communication products to not only industrial-use tools and hi-tech medical devices, but also consumer electronics and home appliances, representing Taiwan’s vibrant and time-relevant industrial development. Furthermore, winning products were not only in line with Taiwan government’s 5+2 Industrial Innovation Plan, which aims to boost industrial competitiveness and improve corporate earnings while simultaneously raising wages and stimulating employment, but also in line with the Ministry of Economic Affairs (MOEA)’s Industry Counseling Program aiming to improve Made in Taiwan (MIT) appliances’ industrial competitiveness. The 27th Taiwan Excellence Awards Candidates come from over 20 categories, ranging from industrial-use machinery to information technology, all of which evaluated by a selection committee consisting of international judges with overall key selecting criteria of innovation, product market placement, total quality control and management, consumer value, market competitive advantage and more, based on categories of R&D, Design, Quality and Marketing. While focusing on the selection of overall best-fitted products, Eco-Friendliness is also a key selection criteria for the 27th Taiwan Excellence Awards, symbolizing TAITRA and MOEA’s resolution to advance industrial development and environmental protection. Winning products represent the most revolutionary, highest quality and highest value-added products made by Taiwan, while epitomizing Taiwan&apos;s unique genius in using innovation to create additional value in R&D, Design, Quality and Marketing of cutting-edge products. As all of the judges unanimously agreed that the winning products have advanced overall quality and international competitiveness over the course of the years, with Quality Judge Prof. Seijiro Oshimura, Managing Director of the Management Research Institute in Tokyo and Quality Judge pointing out MOEA and TAITRA’s impact on Taiwan’s 6% steady growing GDP, the Panel of Judges have also pointed out consumer-oriented products such as monitors and bicycles may account for large part of Taiwan’s GDP. Originality and innovations are crucial for Taiwan’s industrial growth, as most original products are more focused on one single value, they are able to challenge established companies’ blind spots. “Over the years, MOEA and TAITRA, through implementing the Taiwan Excellence Award, has been able to help grow Taiwan’s gross export from 80 billion to 320 billion,” praised Marketing Judge Li Chung Jen, Director of Global Branding and Marketing Research Center at National Taiwan University. He further explained that the winning brands and products come from a candidate pool of 1,113 applications, only 472 applications are approved through the first round of evaluations, 30 of which are then picked to receive awards, only less than 1% are able to receive gold awards while less than 2.6% are able to receive silver. TAITRA then assists these brands to go global, with the MOEA’s help to reinforce brand and product images of technological innovation and cutting-edge design. Founded in 1993, Taiwan Excellence Awards was formulated by the Ministry of Economic Affairs (MOEA) of Taiwan, executed by TAITRA to assist Taiwan brands to enter and expand to the global market under the guiding and sponsoring of the Bureau of Foreign Trade (BOFT). Moving forward, TAITRA continues to enhance the Innovalue (innovation + add-value) of Taiwan products, touring the world each year through Asia, Europe and North America to promote the products of Taiwan Excellence Awards, which best showcase Taiwan’s culture of technological innovation and leading-edge design. Through multi and integrated campaigns and tools, including events and exhibitions, as well as experience and digital marketing, Taiwan government aims to increase the acknowledgement of the winning brands, which encapsulates the Innovalue of Taiwan products, and to boost business opportunities. For detail information such as the awarded list, please refer to the attached press release.